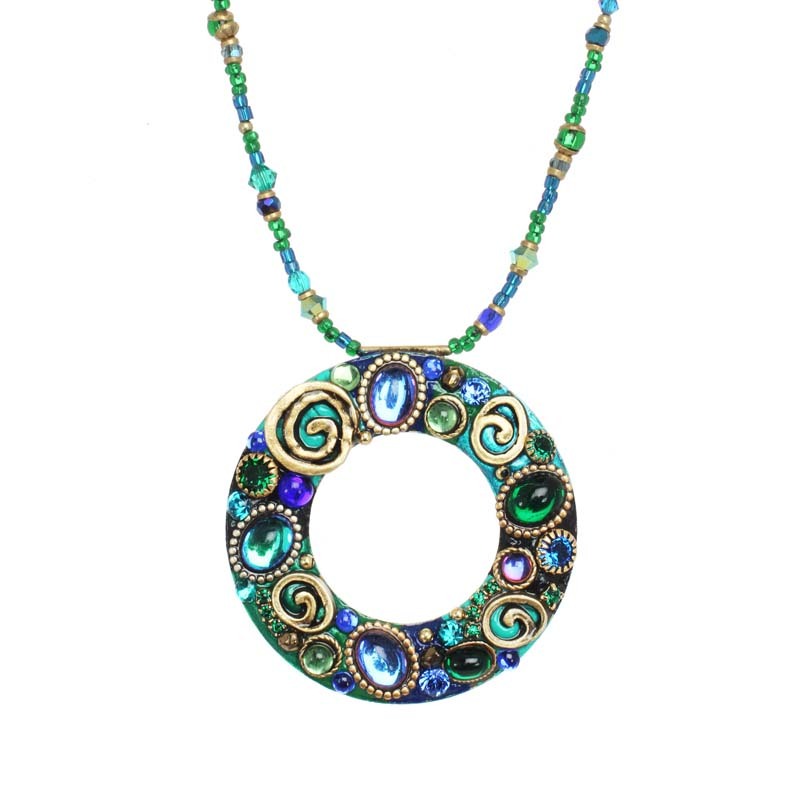 Flirty open circle pendant shows a peek of skin or blouse. Large luminous cabochons and golden spirals keep this piece youthful. 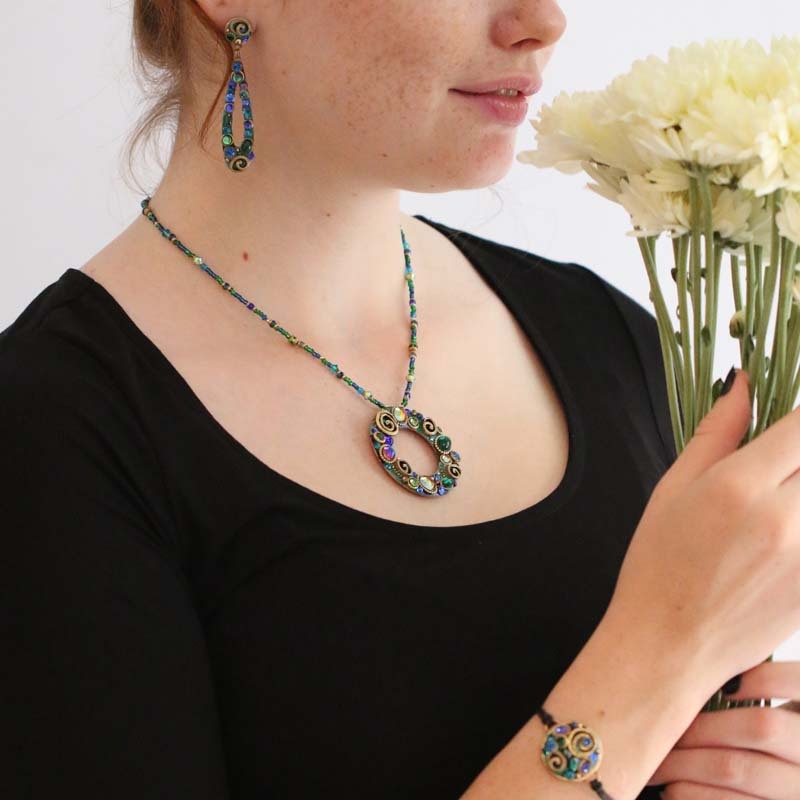 Delicate green and blue strand of beads allow the eye to focus on this fun pendant.